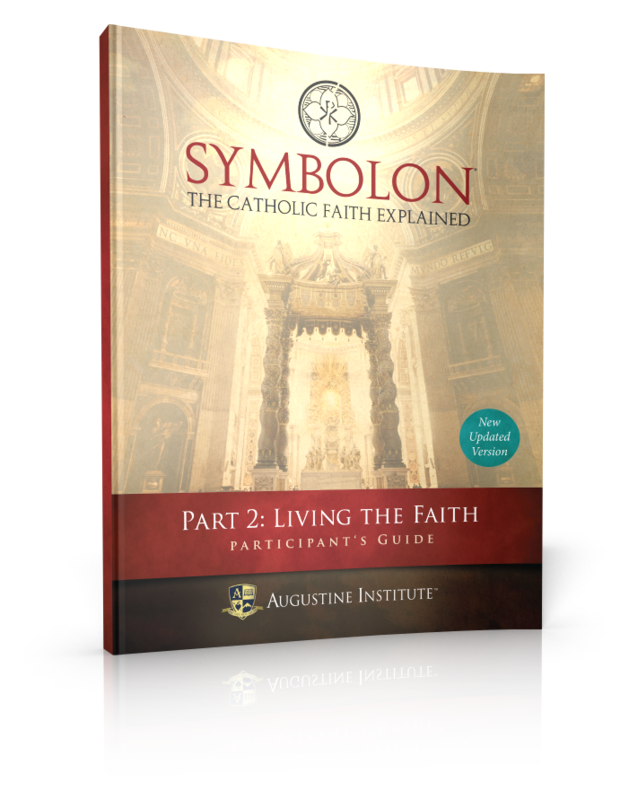 This comprehensive guide makes it easy for any faithful Catholic to lead an effective study of Part 1 of Symbolon: The Catholic Faith Explained, whether at home or in the parish. 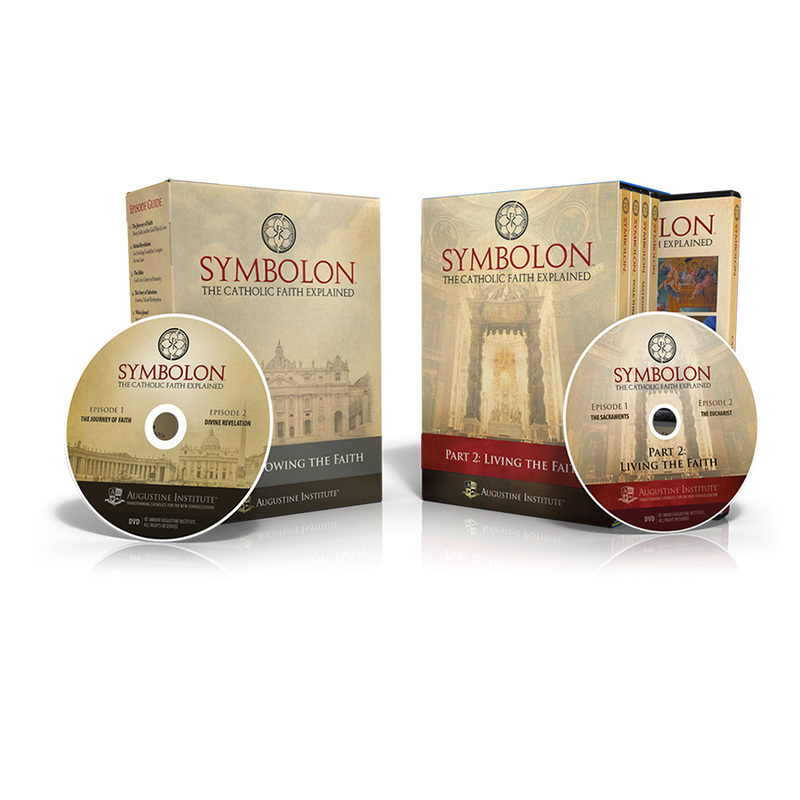 Walking leaders step-by-step through each Symbolon session, this guide equips leaders to facilitate with confidence and clarity. 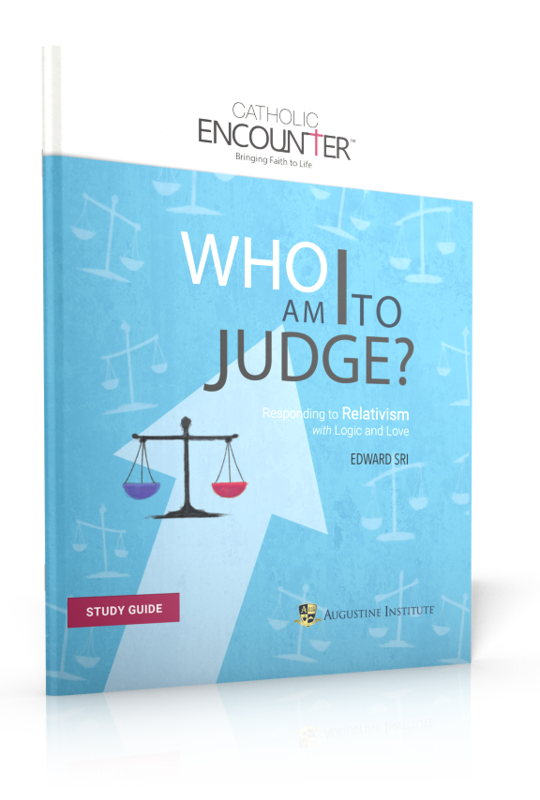 The guide provides opening and closing prayers, discussion questions, reflections for participants, and important background to help facilitators lead a session that is both engaging and theologically sound. Beautiful sacred art and quotes from the saints and the Scriptures help leaders make the Faith come alive for the participants in their study. 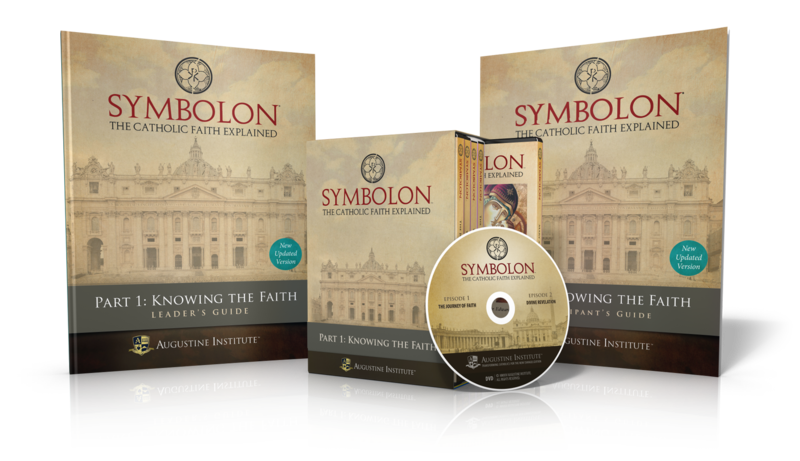 Parishes and individuals are using Symbolon in many ways: men’s and women’s groups, Bible studies, RCIA, family ministry, parent formation during sacrament preparation, adult faith formation, and more! The Leader Guide is carefully crafted to help you inspire participants to give themselves more fully to the Lord in each session. 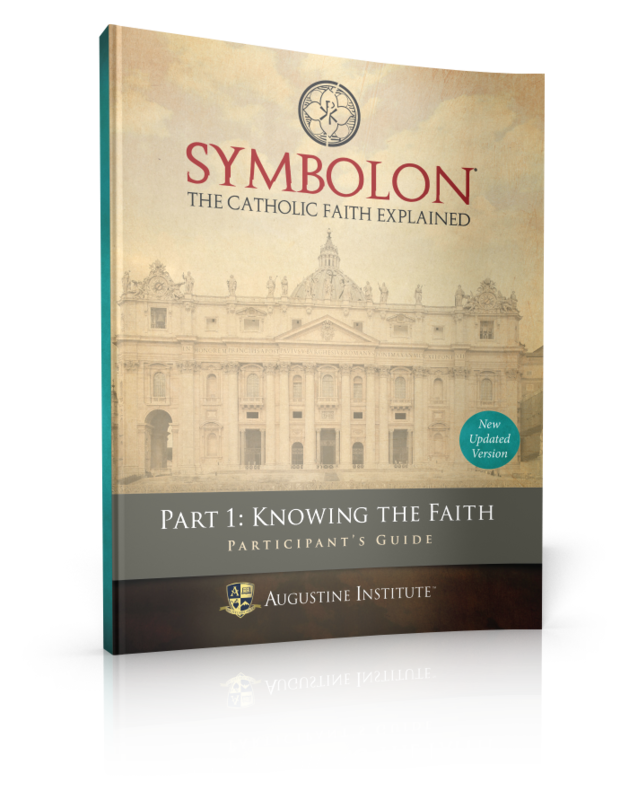 We may be familiar with different aspects of the Catholic Faith … but how does it all fit together? And what difference does it make for our lives? 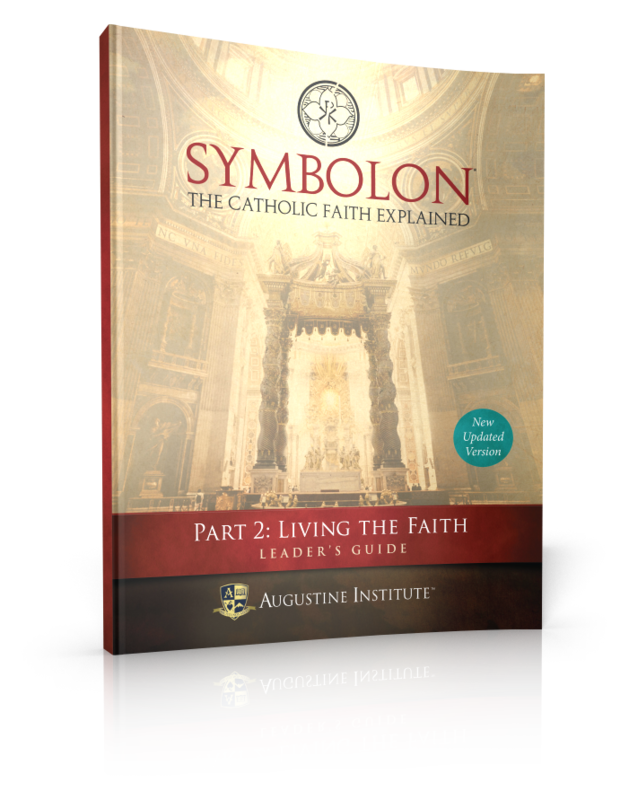 Symbolon: The Catholic Faith Explained is a stunning video series that systematically presents the BIG picture of the Catholic Faith. 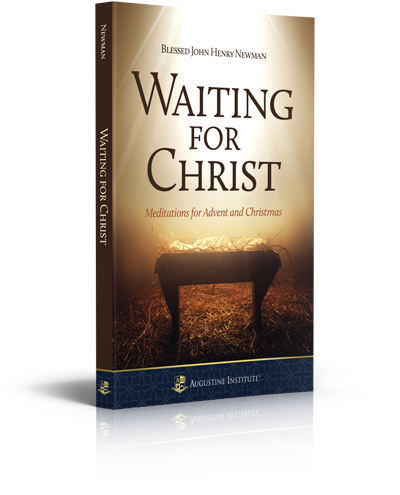 Filmed on location in Rome, the Holy Land, Calcutta, and in the Augustine Institute studios in Denver, dozens of nationally-known teachers clearly present the beauty and brilliance of Catholicism. This leader kit includes everything a leader would need to present Part 1 of Symbolon: The Catholic Faith Explained to a group. 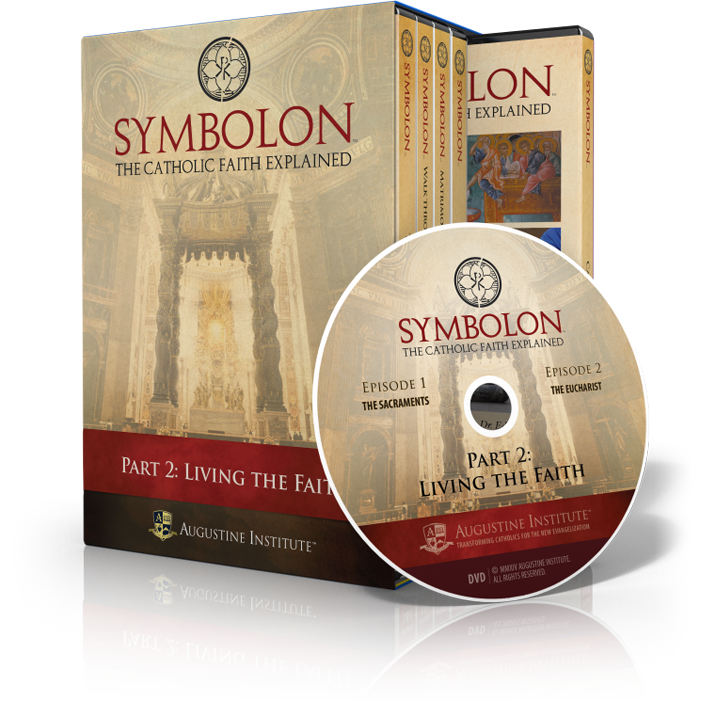 This package includes all ten episodes of Part 1 on five DVDs, one Leader Guide for each session, as well as one Participant Guide. 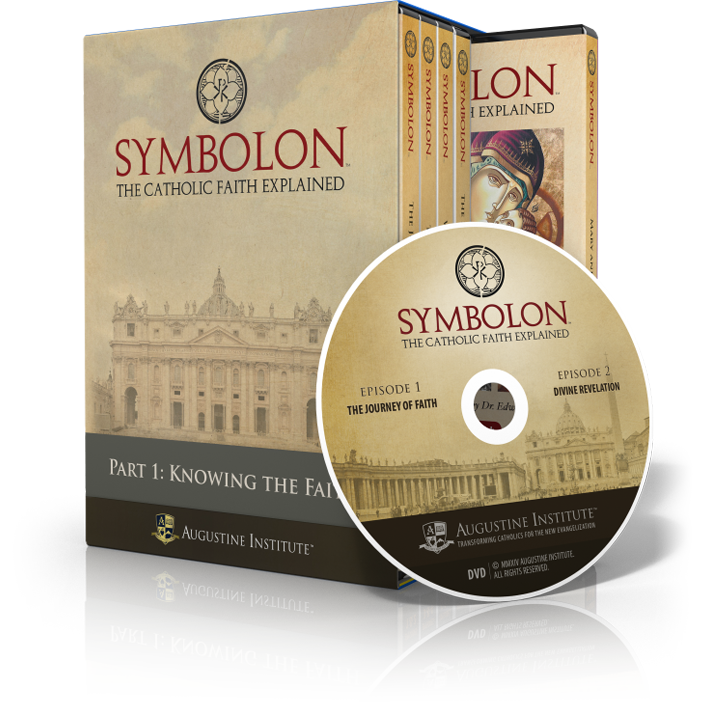 This complete package includes everything a leader would need to present Symbolon: The Catholic Faith Explained to a group. The complete package includes all twenty episodes on ten DVDs (in two parts), the Leader Guides for each session, as well as the Participant Guides.